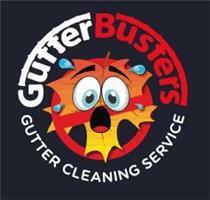 The Gutter Busters Bristol - Cleaning Services based in Bristol, Avon. Gutter Cleaning in Bristol – A Bristol based professional Gutter cleaning service. Gutter Cleaning in Bristol – When your gutters or downpipes are blocked or contain debris, water can damage your building and create problems with damp. When it’s really bad it can even pull your gutter away from its fixings. These problems can be very expensive to fix. Remember, that your biggest investment is your property so make sure you look after it! This is where the Gutter Busters comes in. We use the most up-to-date gutter cleaning system. The days of cleaning your gutters up a ladder – which is an accident waiting to happen – are now long gone. We clean your gutters and downpipes the safe way, with our feet firmly on the ground. We use the Gutter Sucker system which allows us to clean up to three floors. This allows us to remove any debris and we can also clean the outside gutter paintwork. We also provide a camera video service with EVERY CLEAN so that you can see what you are paying for. We explain every step of the process before work commences so that you’re completely satisfied before we start. It is important to make sure that all debris is regularly removed from your guttering and not just the vegetation that you can see from the ground level. Downpipes are often blocked, so rainwater can’t run away freely as it should. Since our founding, The Gutter Busters Bristol has been known for quality services, exceptional efficiency and the highest level of professionalism. We’re passionate about gutters and each and every client matters to us. We have many references available upon request. So, for gutter cleaning in the Bristol area who you gonna call?